under the small umbrella: ALICE is back! I do love the Resident Evil series. They are joyfully escapist. This time we pick up with ALICE from the end of the previous film and her continuing hunt for survivors of the Umbrella Corporation’s deadly T-virus. 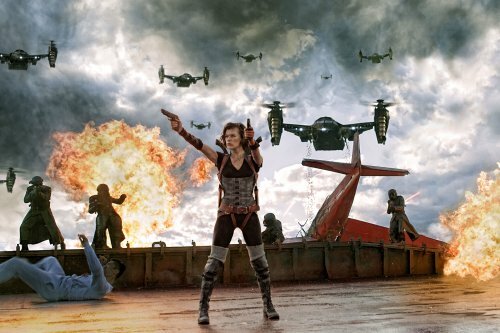 The wildly successful film franchise adaptation that has grossed nearly $700 million worldwide to the popular video game series, Resident Evil, returns in its highly anticipated fifth instalment, RESIDENT EVIL: RETRIBUTION in state-of-the art 3D.